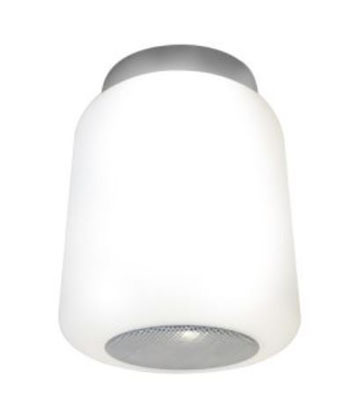 With the popularity of specialist lighting, HIB have just launched their Rhythm Bluetooth ceiling light. Rhythm features a Bluetooth™ enabled speaker that allows you to play your favourite music, podcast or audiobook straight from your device. 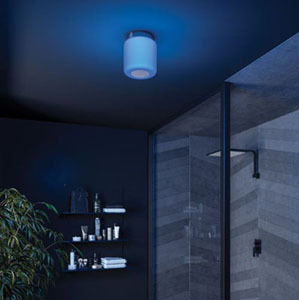 A remote control means you can adjust the volume, skip a track and even change the dimmable LED light from cool white to warm white and though a spectrum of red, green and blue hues – creating a whole new level of ambience. This ground-breaking light helps you personalise your bathroom experience, setting the tone for an energetic morning routine or an indulgent evening pamper. We now have the Rhythm ceiling light on display. Pop in to our showroom & experience the very latest in ceiling lights. 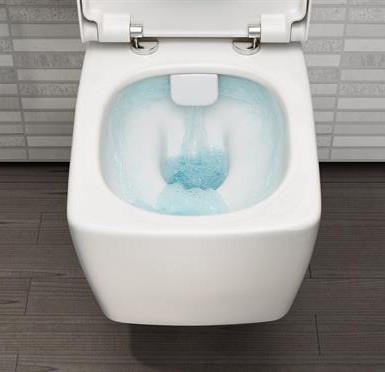 Vitra’s Rimless WC pan technology dispenses with one of the most unhygienic aspects of traditional aspects of traditional WC design, where hard-to-clean rims can harbour germs & allow them to multiply unchecked. The unique design of their rim-ex pans incorporate a water diverter to direct the flush around the bowl, which can be removed easily for cleaning. 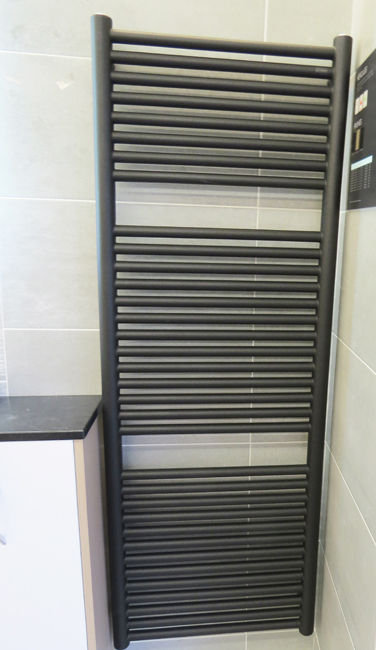 For more information, pop in tour our showroom, where we will be more than happy to discuss your requirements & give you more information on the rim-ex range from VitrA. 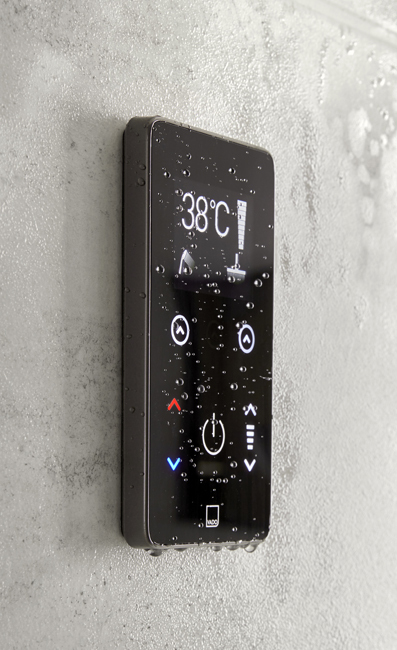 With the popularity of Digital showers ever increasing, Vado have just launched their Sensori range. 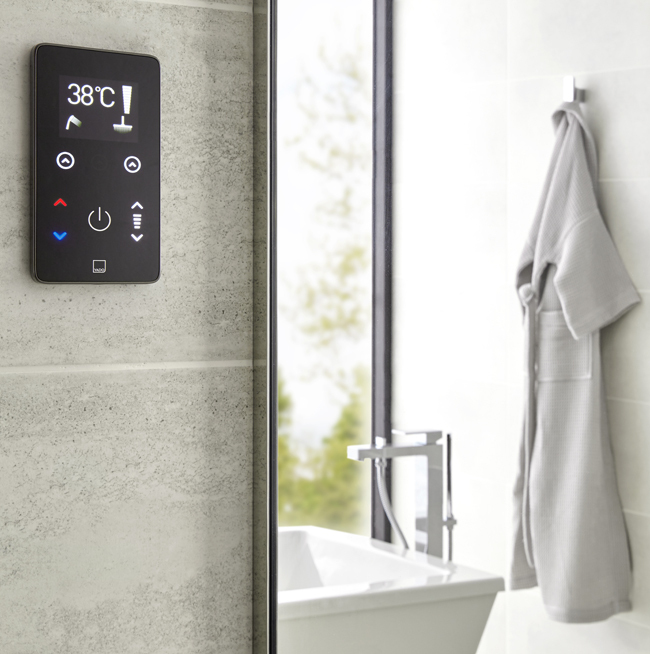 Suitable for high & low water pressures, with a scratch-resistant glass panel, colour LED display for ease of use, this new range is simple to use & enables users to save your preferred temperature, flow rate & operating time to recreate your perfect shower. 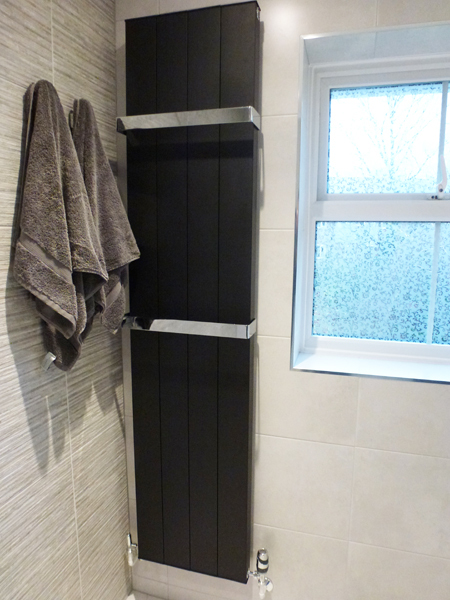 We now have the Sensori shower on display. 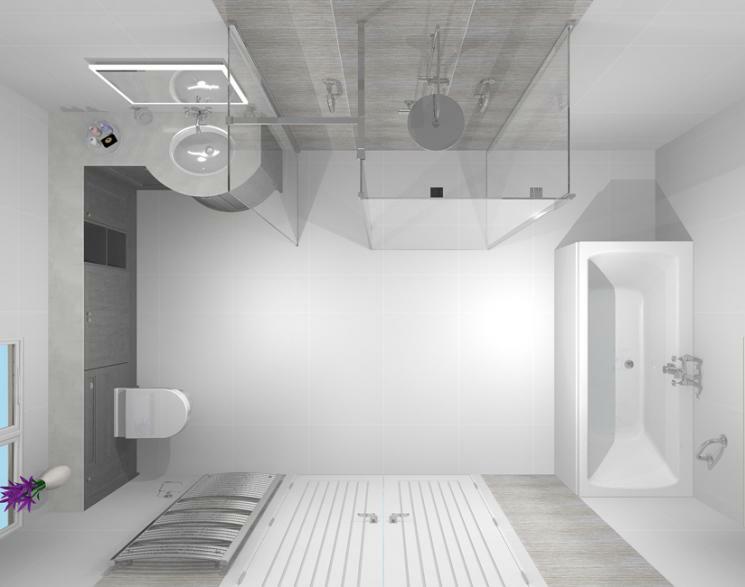 Pop in to our showroom & explore the very latest in digital showering. 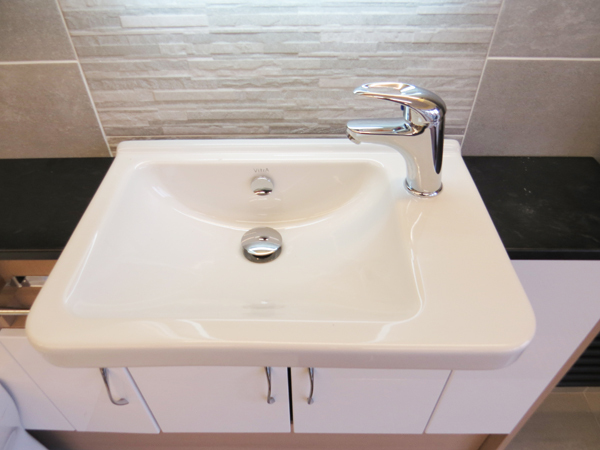 One of the comments we often get at The Bathroom & Kitchen Academy from our customers is ‘I can’t visualise what my bathroom or kitchen will look like when it is finished’. To help our clients resolve this, we have invested heavily in the latest design software available. 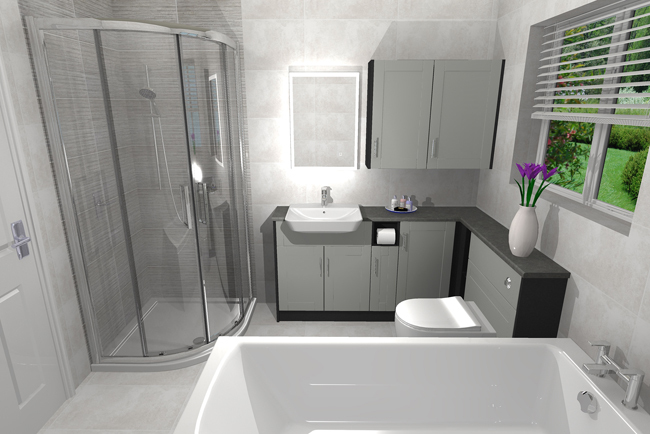 As part of our free design service, we will supply you with a photo-realistic image of our proposed design for your bathroom or kitchen. 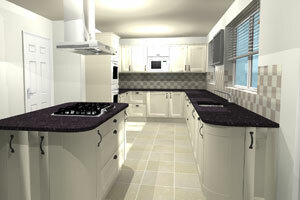 Below are a few images of some designs we have generated for our clients. 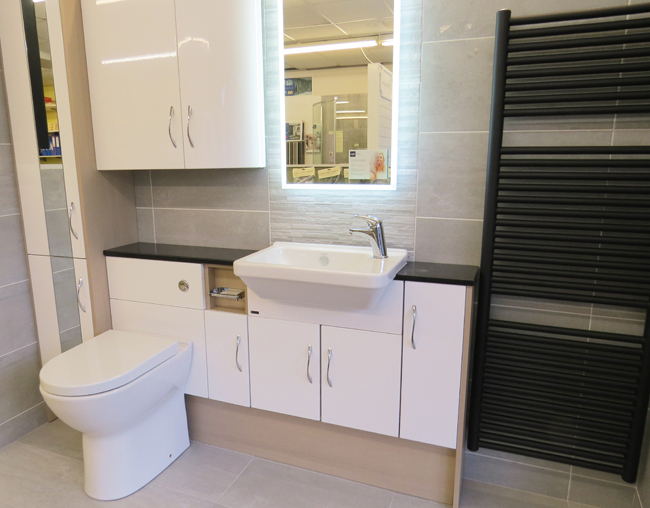 If you also struggle with how a new bathroom or kitchen would look like, pop in to our showroom in Dibden Purlieu & take the next step in transforming your room. 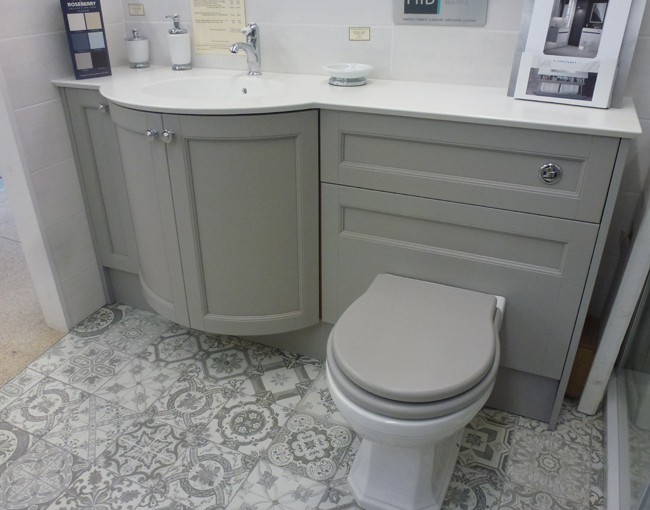 We have on display the Utopia Roseberry range of furniture. This painted timber range of furniture, captures the true natural appeal of wood. 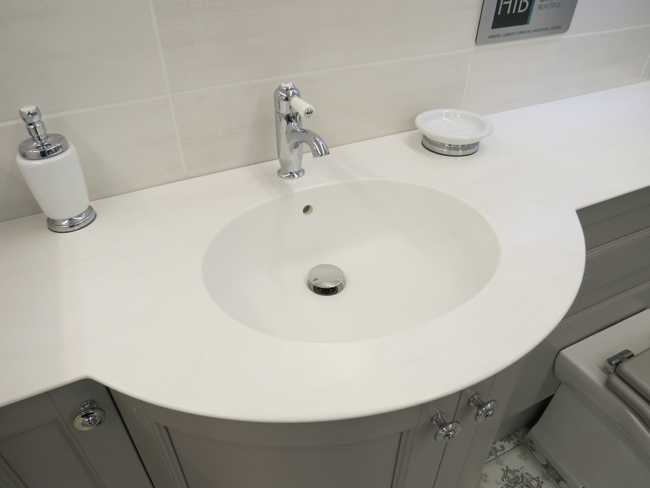 Our display is shown in Dove Grey & is complimented with a 20mm Coralux Solid Surface Marble effect worktop in Polaris White with an inverted chamfer edge c/w fully integrated washbasin in White. 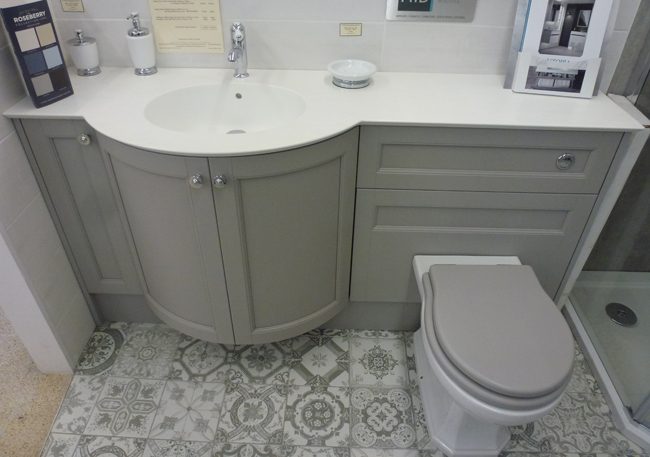 We are also displaying the Monet Classical back-to-wall WC pan with a matching Dove Grey soft close seat & cover. The display is finished off with Vitra 600 x 100mm Concrete wall tiles in White & the patchwork style Utopia floor tiles in Vintage Grey. The Utopia Roseberry range is also available in 5 other stunning painted finishes: Cotton White, Clotted Cream, Blue Lagoon, Peacock Blue & London Grey. 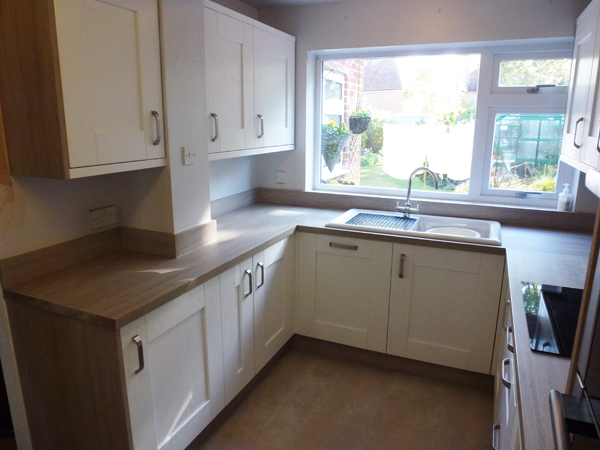 The Coralux Solid Surface range of worktops are also offered in a range of different finishes to complement the colours of the Roseberry doors. 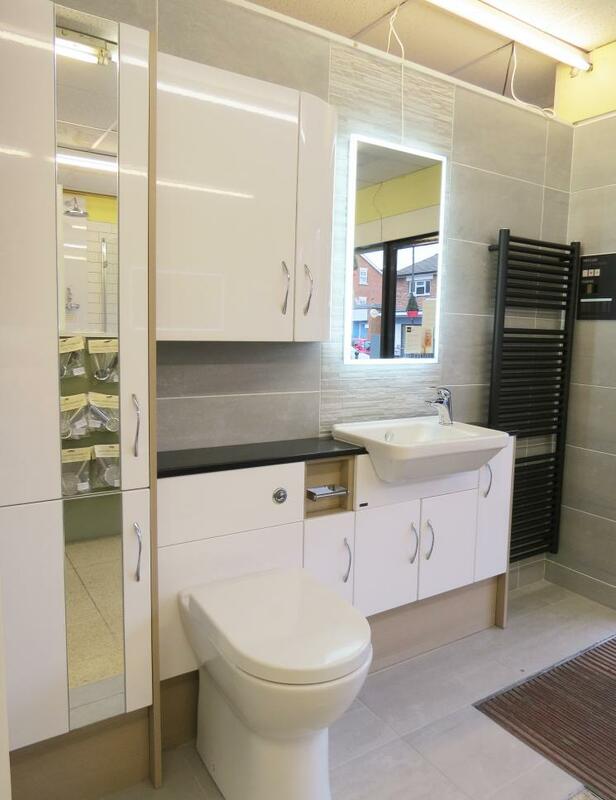 Why not pop in to our showroom in Dibden Purlieu to have a look at this beautiful range of furniture from Utopia & take advantage of our free design service & let us create your perfect bathroom. 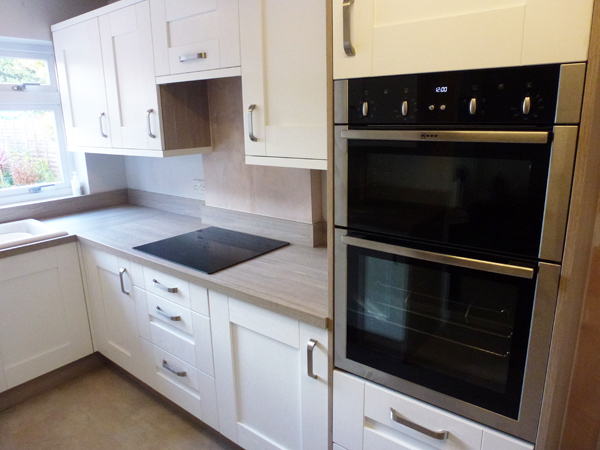 We have just completed a new kitchen for a satisfied customer. We used a Shaker style door in a White Woodgrain finish with a Dark Oak carcass from our Academy range of kitchens. 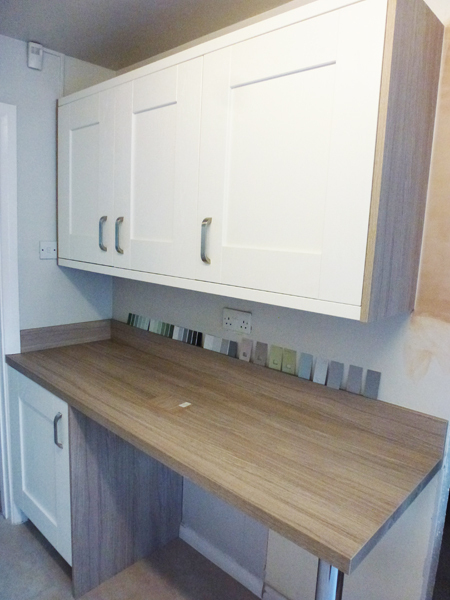 We then finished off with matching worktops & upstands in Dark Oak & Brushed Steel Bridge handles. 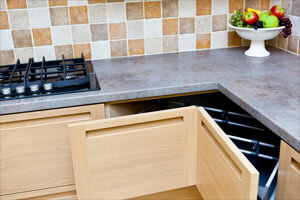 Installation was completed by ABJ Home Improvements. 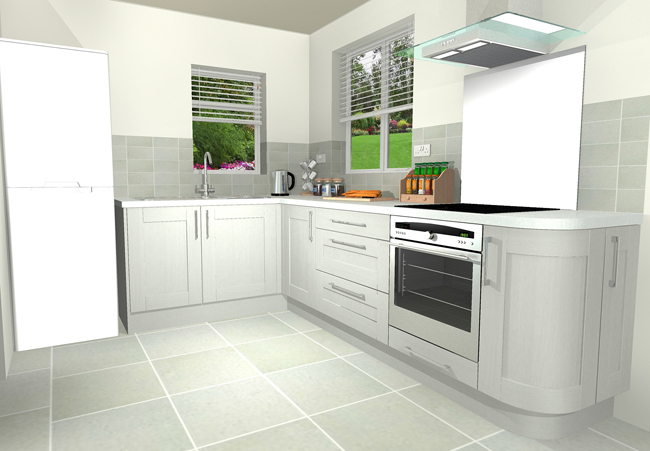 If you are thinking of new kitchen for 2019, why not give us a call or pop in to the showroom & take the next step in transforming your kitchen. 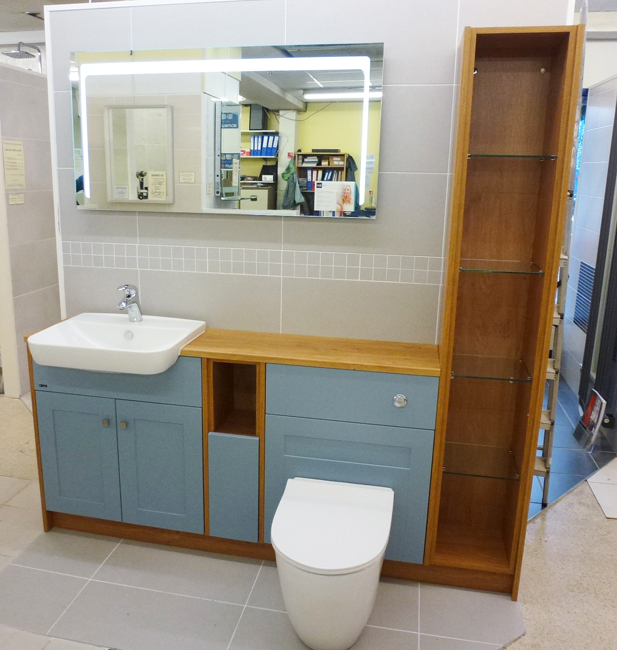 The Montrose range of furniture is very comprehensive & designed to suit any bathroom. 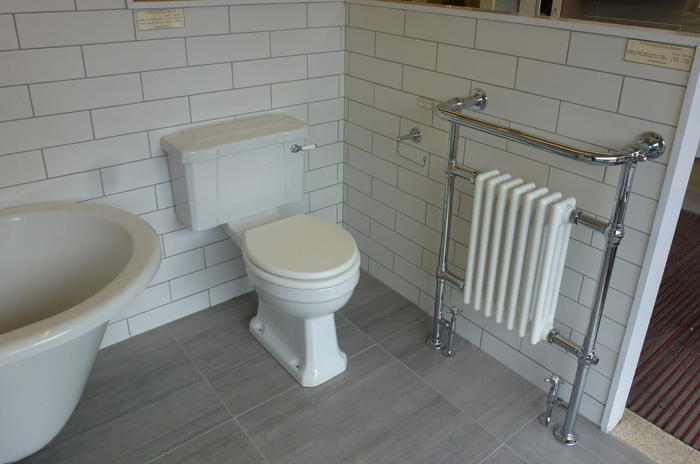 From modern to traditional, a wide offering of colours & sizes means we can supply bathroom furniture to suit the most discerning in taste. 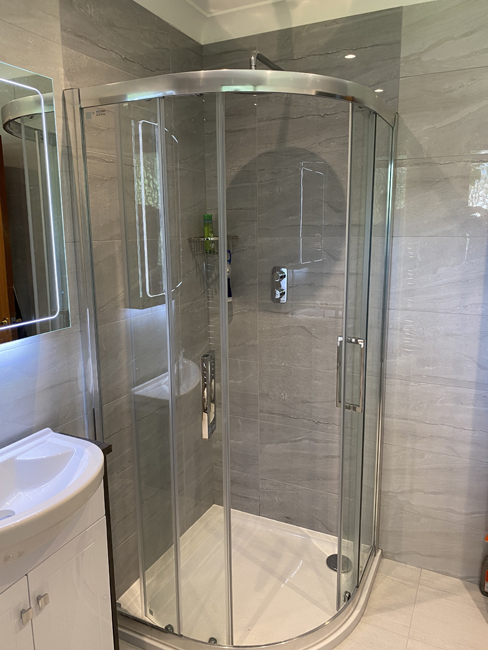 We have just completed a new bathroom for another satisfied customer. 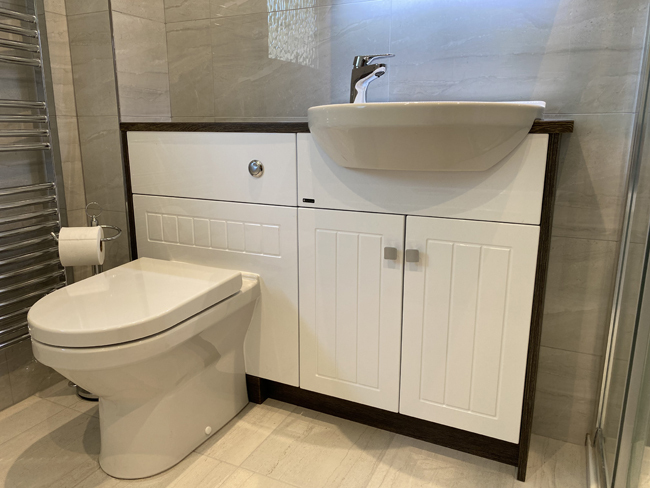 We used a Montrose double drawer washbasin unit to give our client some useful storage, the Vitra M-Line fully back-to-wall close coupled WC suite, so no nasty dust traps behind the WC area & supplied a large custom made mirror above the basin & WC area to give that feeling of space. Rather than a shower tray, we used the Abacus wet-floor former to create a step-up walk-in enclosure, with an Aqata walk-in glass shower panel & the Vado Tablet built-in thermostatic shower valve, created some recesses for more storage & finished off with some plinth lights to give it that wow factor. The tiles used are from our Perseo range. Installation was completed by Warren Renyard. 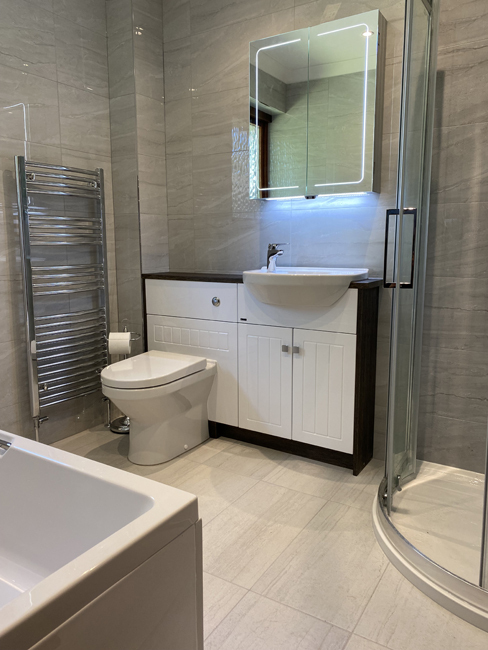 If you are thinking of new bathroom for 2019, why not give us a call or pop in to the showroom & take the next step in transforming your bathroom. We now have on display the Burlington Hampton shower bath, with the stunning 1300mm double washbasin unit in Matt White with Carrara White worktop with integrated washbasins, a Rimless close coupled WC suite, the Claremont range of taps, Trafalgar traditional style towel warmer, a 1200mm LED illuminated mirror & all complemented with our Pastel range of wall tiles & Moment 600 x 600mm floor tiles in Grey. All in all, a stunning looking display. We now have on display the Montrose Portland range of furniture in their new Denim finish. 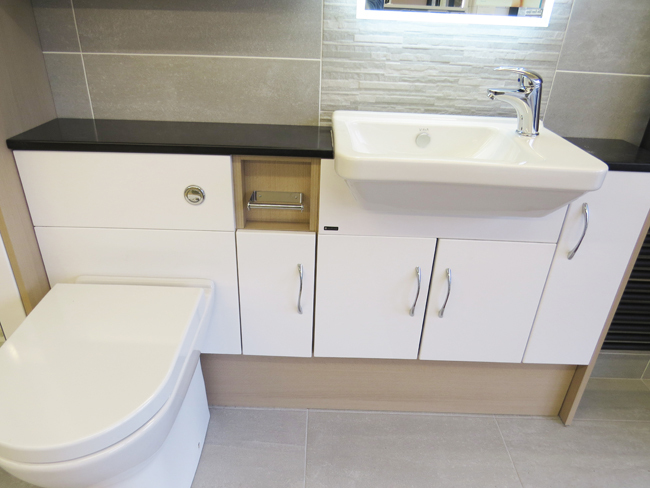 Complemented with Pippy Oak carcasses, plinth & worktop we also have on show the new Vitra Sento semi-countertop washbasin & Sento back-to-wall pan with Slim Soft Close seat. 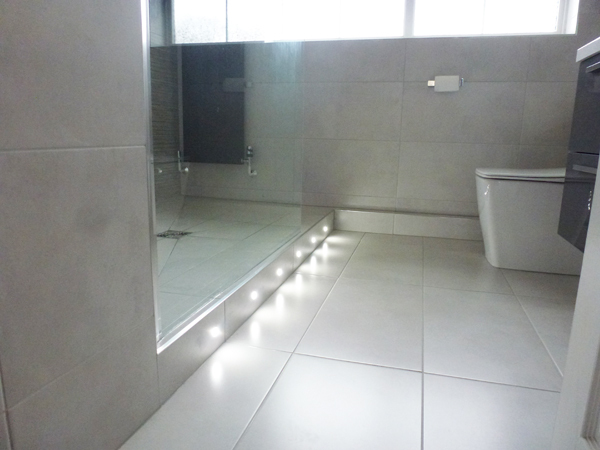 Finishing off with the Vado Magma basin mixer, the HIB Christa back-lit mirror & tiled with our Genesis wall & floor tiles, this is a fantastic looking display. 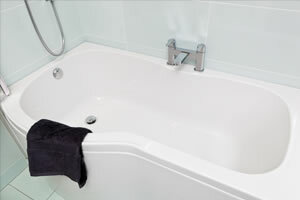 If you are in the market for a new bathroom, please do not hesitate to contact us. 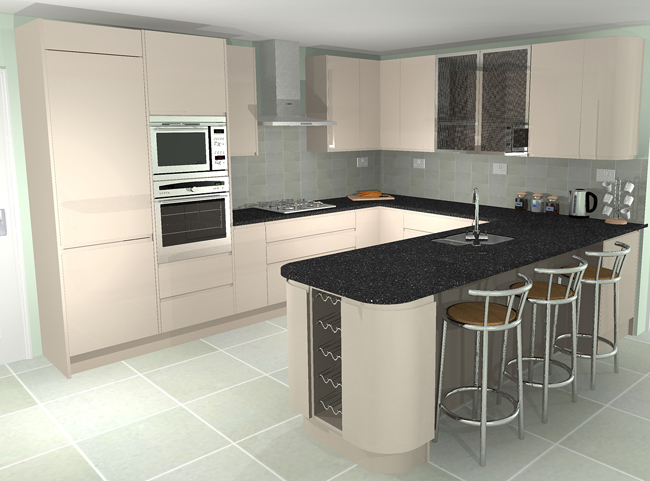 With our free of charge design service, we will generate a photo-realistic image as well as an itemised quotation. 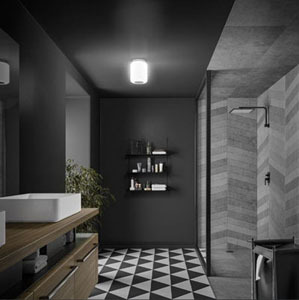 Take the next step in transforming your bathroom by popping in to see us & let us help you design your dream bathroom.